Smoke on the water @ Shasta Lake! 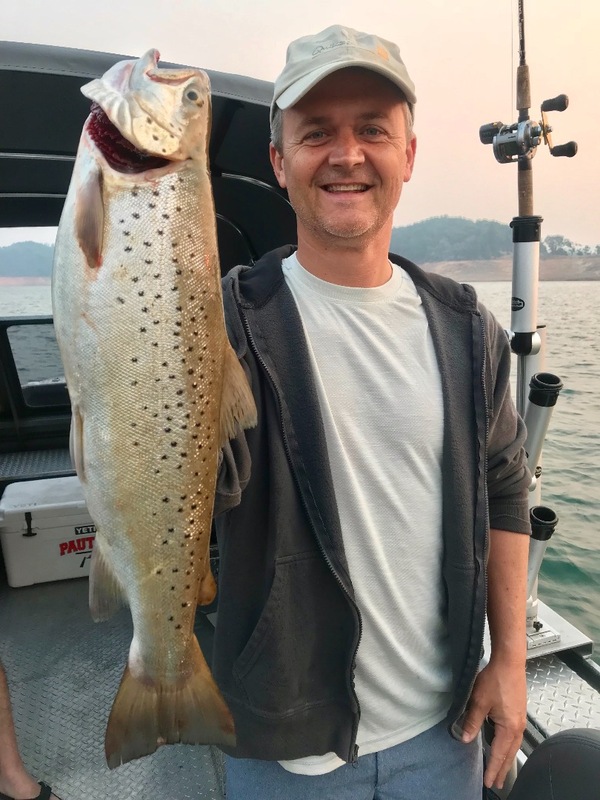 Second fish of the day was another awesome Shasta Lake brown trout! 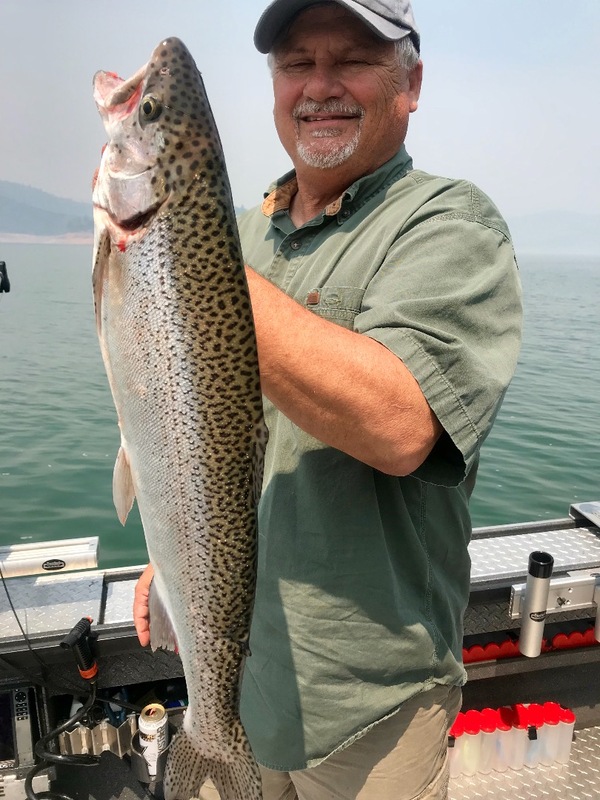 Today we fished Shasta Lake and admittedly, it was by far the toughest day on the water as far as smoke from area fires goes. The morning started out with thick smoke sitting on the water surface making for very uncomfortable conditions initially. Fortunately as the day wore on, the smoke lifted a bit and a breeze came in and provided some relief. By days end, most of the smoke had lifted and we actually saw some blue skies. Fishing started out unusually slow, but hour by hour things picked up as expected. Michael and Kevin each caught their limts of trout and some bonus bass as well. 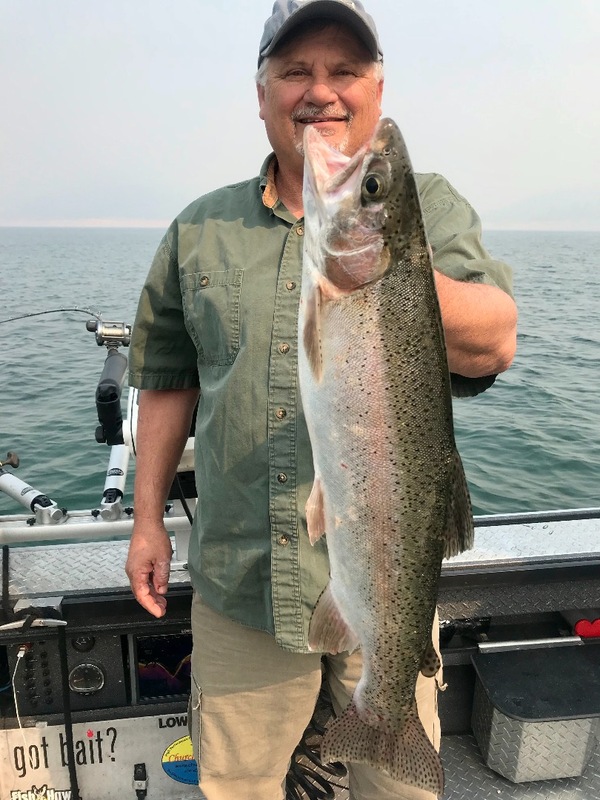 The quality of fish was excellent, but we're used to seeing bigger fish with the techniques we deploy when fishing our area lakes. We dont get the numbers some days, but the size of the fish we're catching is well above the norm. With stable water temps in Shasta Lake, the fish are hanging out in 50-70' feet of water still. 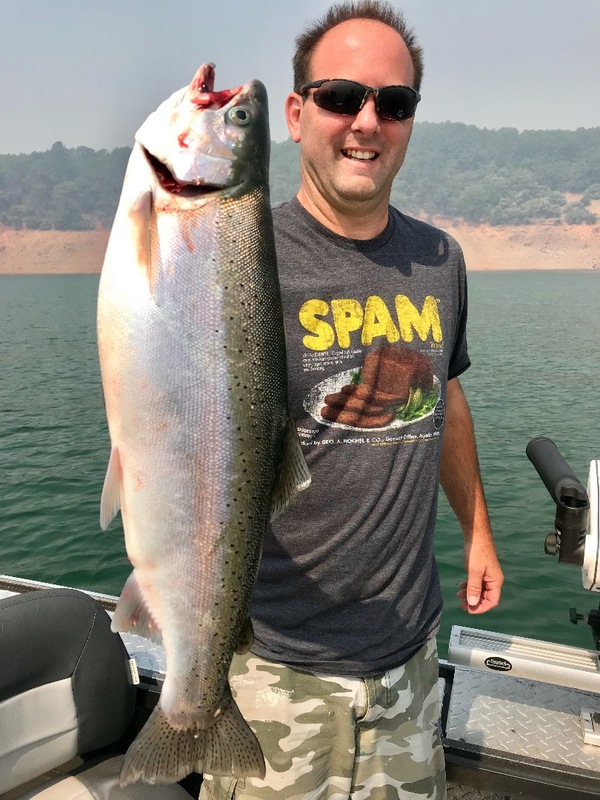 Fishing remains great on Shasta Lake and furtunately I have a few days left the last week of August before our river salmon season starts. Give me a call at 707-616-1905 if you want to get out and experience some of the best trout fishing the north state has to offer! 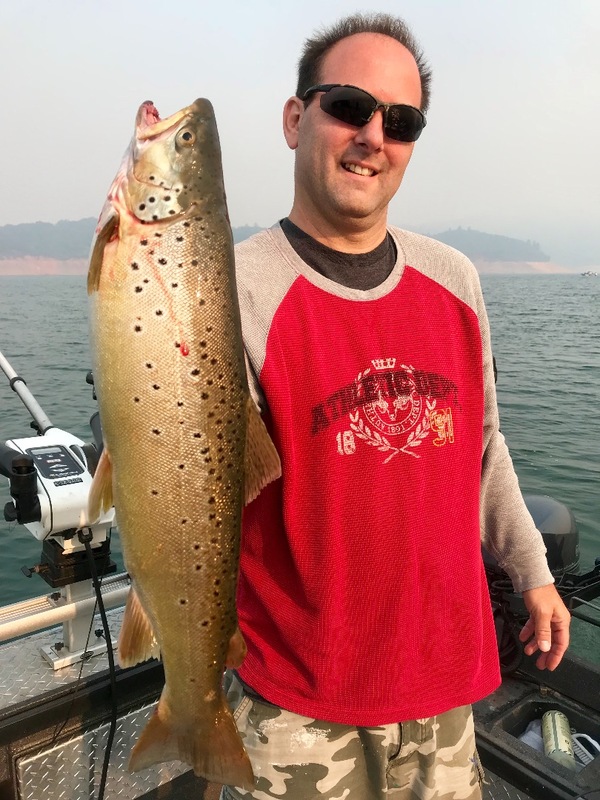 Summer slugs on Shasta Lake! 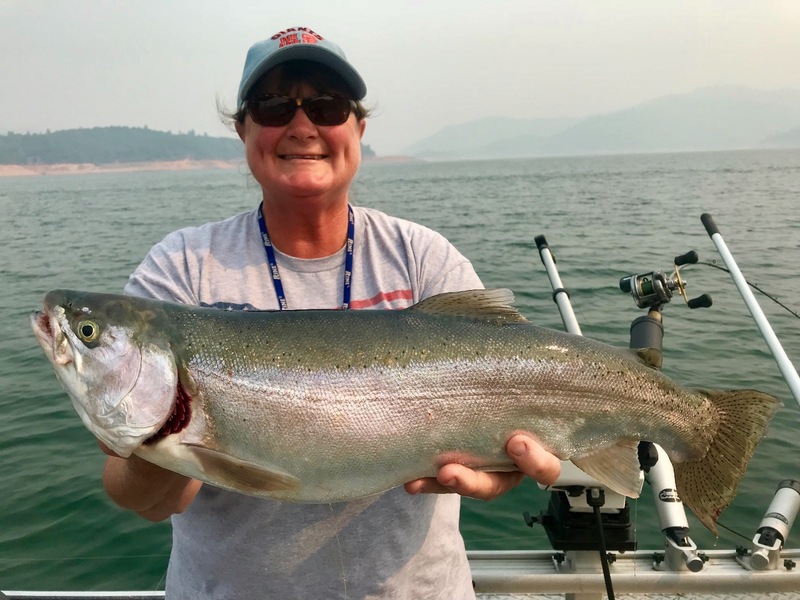 Summer fun on Shasta Lake!